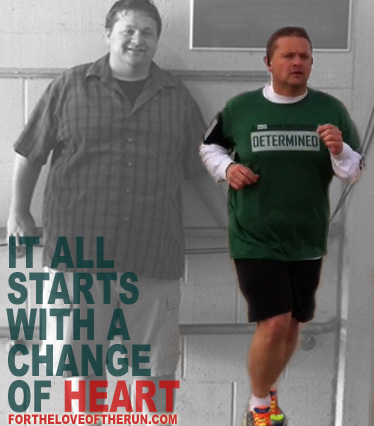 Register for the race. You can run or walk wherever you want, whenever you want, with whomever you want or you can simply go it solo. 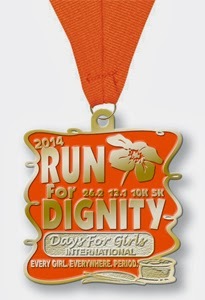 You will be supporting a great cause and you will get a sweet medal for your running accomplishment! We suggest getting a few friends together, committing to a date and running together. Challenge each other or enjoy the run together, either way make the best of the run. Pick your favorite trail, park, or plan a route and run the distance of your choice (marathon, half marathon, 10k or 5k). Just be safe, have fun and enjoy your run! After registering we will send you a custom numbered bib via email for you to print out and wear on the day you run your race. Obviously wearing the bib is not mandatory, but it's a fun way to take part in the run. Also, if you take a photo wearing your bib we will add it to our photo gallery. 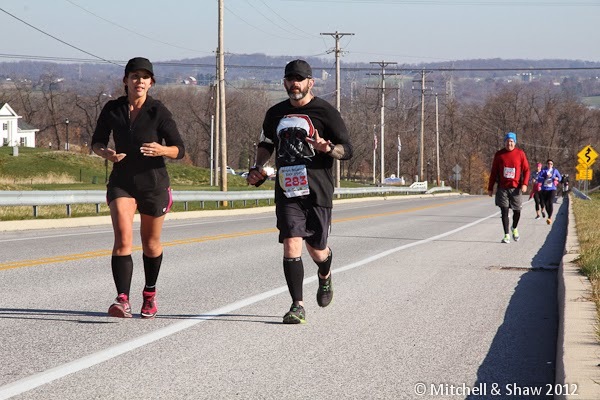 Actually, bib or no bib, if you want your race day pic in the gallery we will gladly add it. When you have completed your race submit your results using the "submit your race results" link at racevirtually.com. Don't forget that ALL registered participants will receive our custom medal and will be entered in our random prize drawings. The Instead Softcup Challenge was such a great opportunity for so many. We hope you enjoyed the challenge and we thank you for all of your Instead Softcup reviews. Again, a big thank you to all who participated in the Instead Softcup Challenge and a big thank you to Instead Softcup. Do you remember your first race? Your first half marathon? Your first full marathon? Even if you haven't run your first half marathon or full marathon YET, if you are a runner, you are probably a sucker for an inspirational story about.... running. We have been thrilled to watch a transformation right before our eyes over the past year. Haven't you had enough? Go. Get yourself back. I wrote this for This Is A Woman. For as long as I can remember, the media has been selling a perspective to me. The perspective the media sells says I'm flawed. I need to look better. I need to be thinner. I need to hide my imperfections. I need to pretend they don't exist. I need to pretend I'm something else: maybe taller, lighter, brighter, wealthier, more educated, more interesting. I have to look they way they say I should look. I have to wear what they are selling. If I can't wear it, I have to try and change myself so that I can. And if I buy what they are selling, I can't do all of this. It's impossible. So there have been times in my life when I have been trapped. Have you ever been trapped by what they are selling? How many shoulds do you have? I can't go to the beach because I don't look they way I should in my bathing suit. I don't want to go out because I should look better than I do right now. I will not graciously accept your compliment because I know what I should look like, and I don't believe you. I can't enjoy the day until I have my makeup on, my hair just right, my clothes covering anything that isn't as small as it should be. I won't be photographed because I don't like how I look, I believe I should look better than I do. Don't mistake me. I am not a helpless victim to what the media sells. I chose to buy it. There is no gun pointed at my head. There is no one forcing me to believe what I see/read/hear.